Alex Mitchell sets up the try. Piers Francis converts the try. The defensive line has been broken as Jamie Gibson goes through the gap. The pressure has finally told as Tom Collins scores from close range. 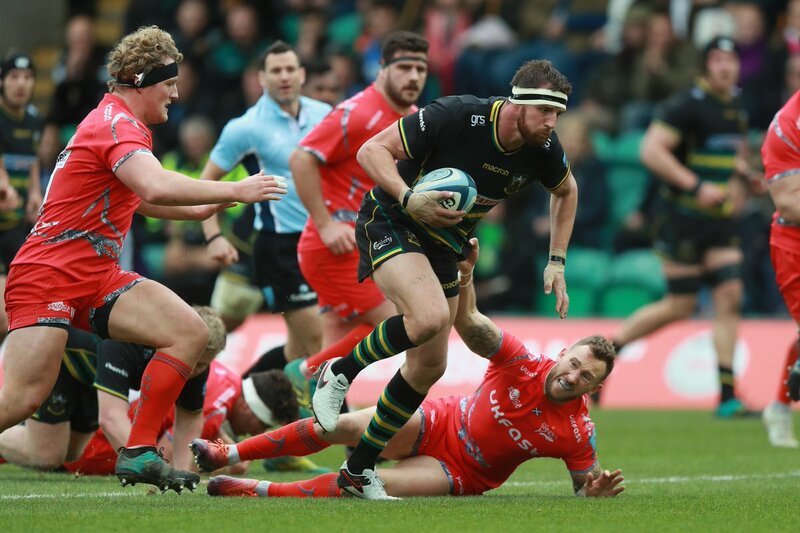 Tom Wood has made 10 good tackles so far this game. Alex Moon has made 10 good tackles so far this game. A stunning solo try from Rory Hutchinson. What a run here by Rory Hutchinson as they gets over the gainline!. George Furbank has made 10 good tackles so far this game. Arron Reed comes on for Sale. Byron McGuigan leaves the field. Josh Beaumont makes the break as the defence re-enacts the parting of the red sea. The Northampton supporters go wild as Piers Francis successfully kicks the conversion. 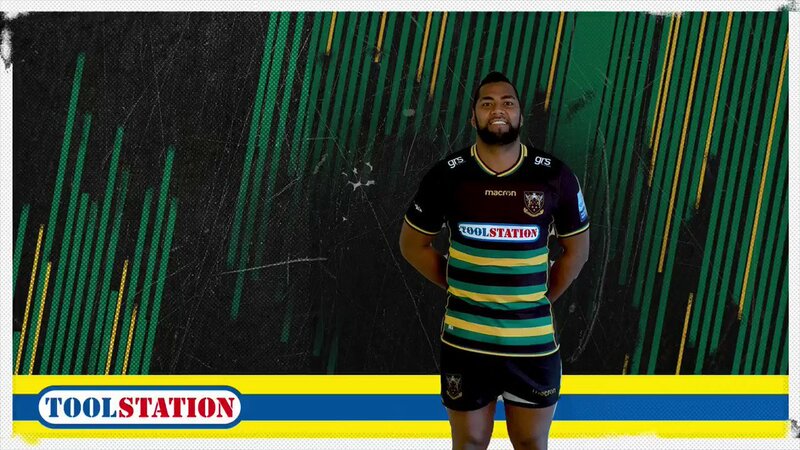 Northampton are stopped just a few metres from the try line but George Furbank picks up from the base of the ruck to score the try. Fabulous play by Northampton has led to George Furbank being able to wriggle through a gap. The touch judges raise their flags as Piers Francis kicks the conversion. Sale decide to make a substitution, with Luke James getting some game time. Sale decide to make a substitution, with James O'Connor being replaced. Sale make a substitution with Will Cliff coming on. 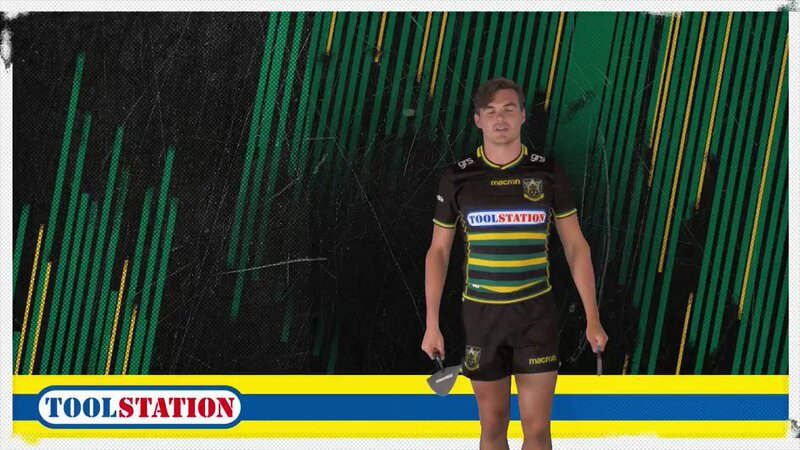 Sale make a substitution with Faf de Klerk coming off. Sale sub Joe Jones comes onto the field. WillGriff John departs for Sale. Cameron Neild comes on for Sale. Taqele Naiyaravoro scores the try from close range. Sale decide to make a substitution, with Josh Strauss getting some game time. Sale decide to make a substitution, with Bryn Evans being replaced. Sale make a substitution with Andrei Ostrikov coming on. This is dangerous for the defence as Rory Hutchinson bursts through to advance the Northampton attack. Northampton sub Paul Hill comes onto the field. 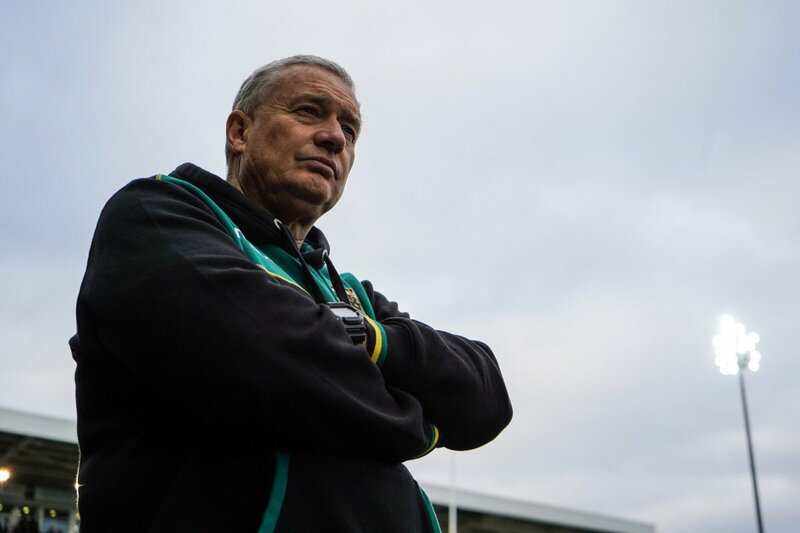 Ehren Painter departs for Northampton. Alan MacGinty sets up the try. Incisive passing by Sale is finished off by Denny Solomona, as he goes over for the try. Rory Hutchinson sets up the try. 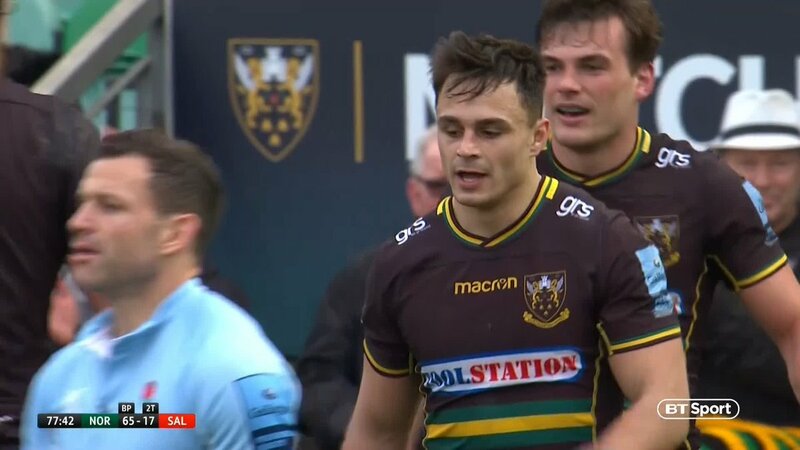 Silky skills by Northampton ends with a try for Ahsee Tuala. What a run here by Alex Moon as they gets over the gainline!. George Furbank makes the break as the defence re-enacts the parting of the red sea. Spellbinding play by Jamie Gibson is finished off with a try. 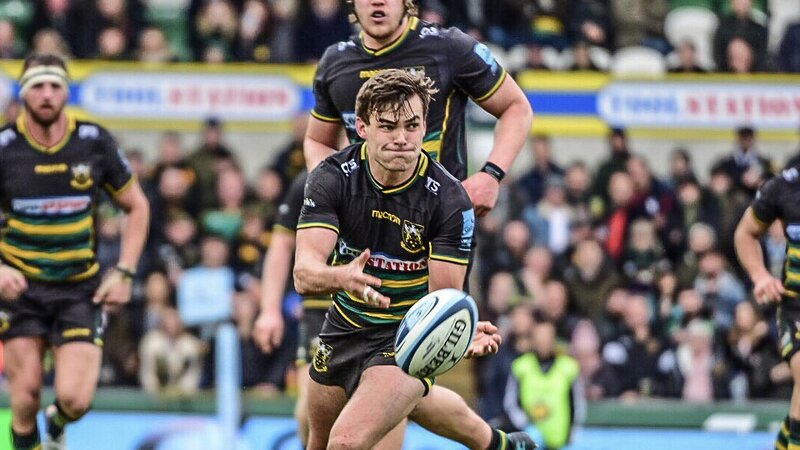 A wonderful passing move by Northampton is finished off by Tom Collins. This is dangerous for the defence as George Furbank bursts through to advance the Northampton attack. The referee awards a penalty try to Sale. Piers Francis played a key part in that try. Northampton are only a few metres out, surely they must score! And they do with Tom Wood touching down. 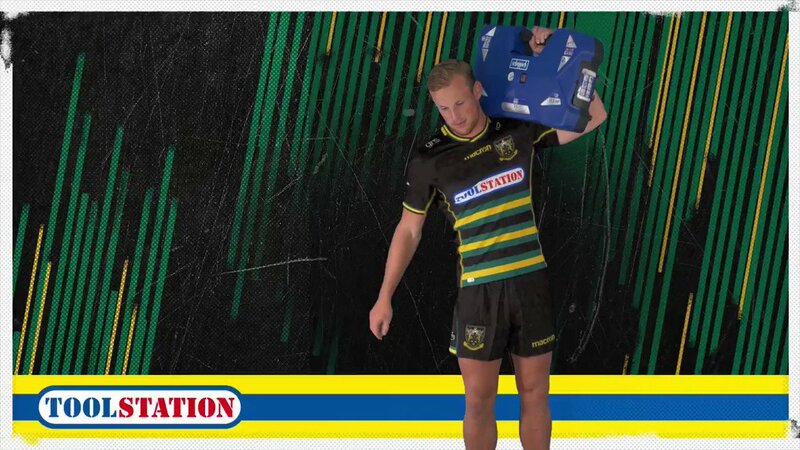 Tom Bristow comes on for Sale. Ross Harrison leaves the field. What a run here by Byron McGuigan as they gets over the gainline!. Taqele Naiyaravoro makes the break as the defence re-enacts the parting of the red sea. Fabulous play by Sale has led to Ben Curry being able to wriggle through a gap. Trouble here as Denny Solomona breaches the defence. This is dangerous for the defence as Jonathan Ross bursts through to advance the Sale attack. That's a great try assist by Piers Francis. A gap opened in the defence and Piers Francis took full advantage. 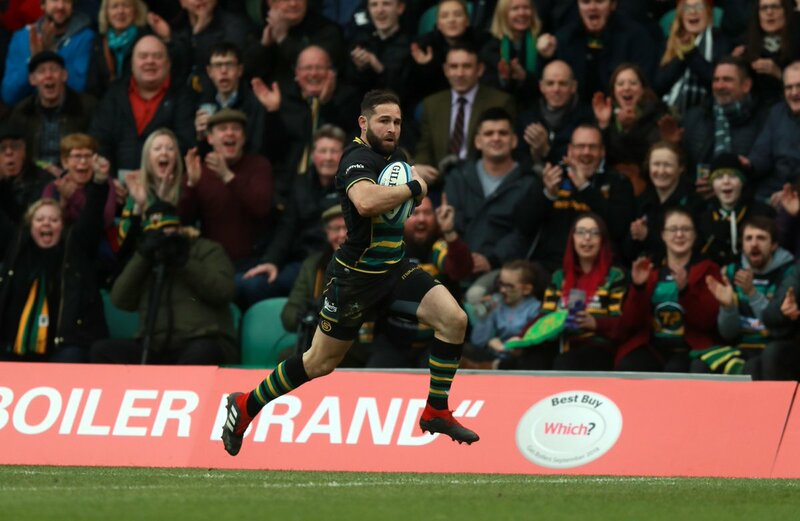 A series of passes by Northampton results in a try for Cobus Reinach. Dan Biggar makes no mistake with that penalty goal attempt. Lewis Ludlam sets up the try. 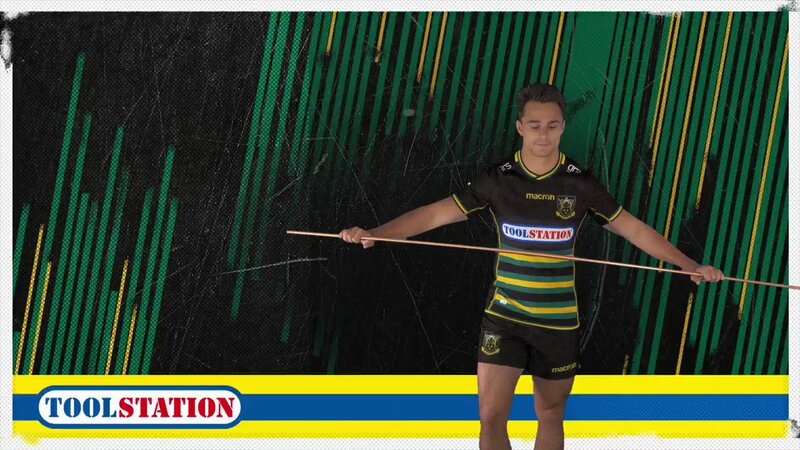 Great hands by Northampton leads to a try for Cobus Reinach. The defensive line has been broken as Lewis Ludlam goes through the gap. Dan Biggar has kicked a penalty goal. 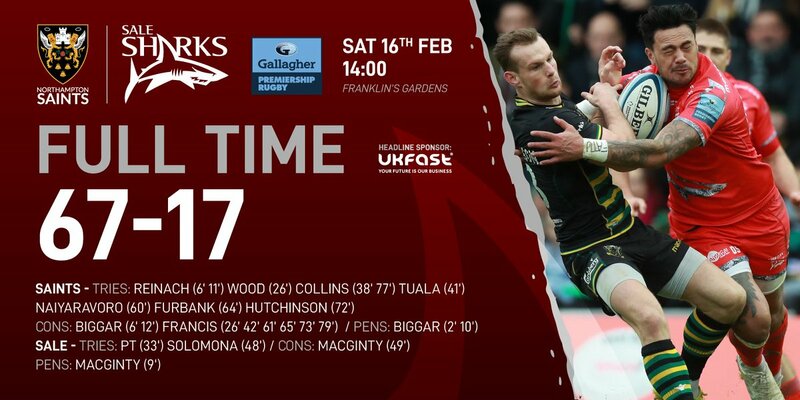 RT @tomwood678: Well that went well.